It would be nice to have published parameters from the composition to come into a palette or a slide out drawer. That way minor tweeks for the final output could be made before output. Any thoughts on this? drop in a composition with published inputs, and click the gear. Or sometimes it'll just pop out automatically. Either way, you can tweak them there, and it's been that way since the first public release. I always wonder why it pops out sometimes on it's own... any rhyme of reason to that? Ooooh! Seeing that screen shot.... "memories... of the way... we weeeerrrre". I almost forgot that MB wasn't part of the first version. Drawers aren't really encouraged anymore, so they sometimes act weird of their own volition -- we simply have 1 line that pops it open if a dropped-in composition has published inputs, and a couple more lines that toggle it when you click the gear. 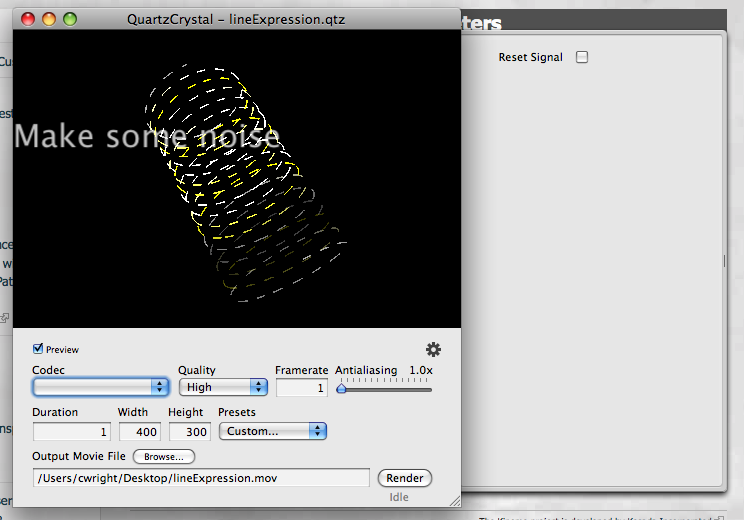 I've not really played with it enough to try and figure out if we can smooth the transitions some.